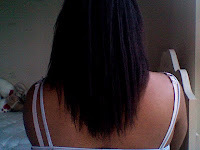 On Thursday: I used my 6+ week detangling method using coconut oil and Carol's Daughter Tui Hair Moisturizing Smoothie. I left that in for about 30 mins with heat and 2 additional hours because I was busy :o). After rinsing, I shampooed in 4 sections using the Dove Intense Repair (sulfate) shampoo to gently remove any build-up prior to relaxing. I then shampooed a second time Shea Moisture Retention Shampoo. I then conditioned briefly without heat with Aussie Moist and proceeded to finger detangle. After rinsing, I t-shirt dried for about 5 minutes, applied Rusk Smoother Leave-in Conditioner and argan oil and proceeded to finish detangling with my fingers. After my hair was about 90% dry, I applied Giovanni Direct Leave-in, aloe vera juice/water mix and some more argan oil to seal my ends. The day before I relaxed (Saturday): I coated the previously relaxed ends and length with coconut oil and fully detangle all sections. 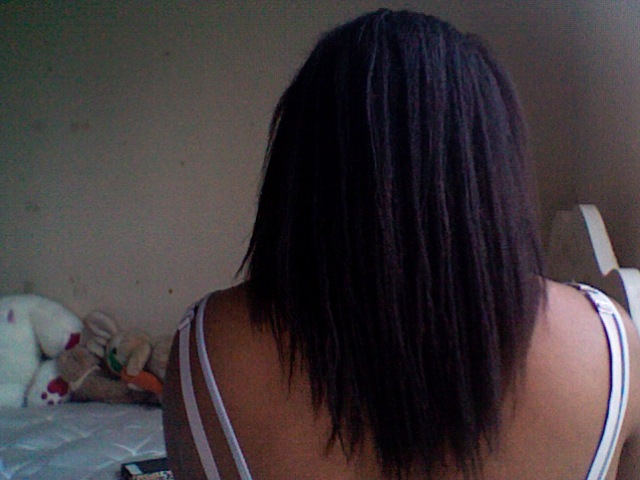 Relaxer day: I applied vaseline to scalp and completely around hairline. My hair was parted into 4 sections and then relaxed using the half and half method (click here to see explanation of this method) with the Gentle Treatment No-Lye relaxer in regular strength. The back two halves were relaxed first, then the front. The total relaxer time for each half was 18 minutes. The hair was then rinsed and neutralized. I then deep conditioned with Nexxus Humectress for 30 minutes under my heat cap. I rinsed, then t-shirt dried for about 10 minutes. I applied my leave-ins: Rusk Smoother and argan oil, then detangled and allowed my hair to air-dry hanging loose. 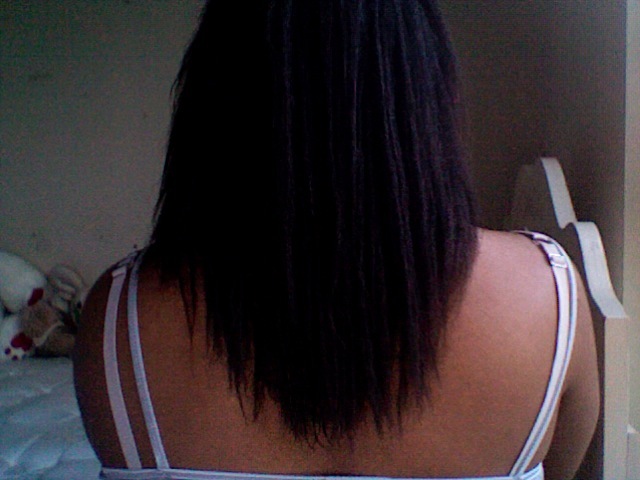 my ends took more a beating than usual, so a trim is definitely in order, most likely later this week. I randomly decided to try to flat twist my hair, and it actually didn't come out too badly. The twists were done of dry hair, with no products used. This was more of an experiment, but now that I know that I can flat twist I will be sure to try this method again! ...and yes those are absolutely barrettes lmao, I was too lazy to go get rollers #laziness! Final results, best pic I could get since I was running late for work. The waves were fairly uniform :). I plan to try this style again in the future, so I will def do a post on it. I will be updating later this week with a length check after I trim! Wow!! I love your waves - great results and your hair is beautifully thick!! Great job it looks great. What is your ultimate hair goal?